This is the time of the semester where I suddenly want to combine texts I’ve read for my different classes into a single project. 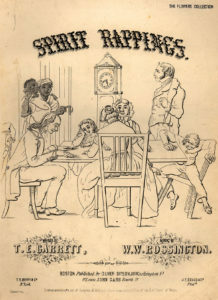 The reading this week for my American Gothic independent study centered around Harriet Jacobs’s Incidents in the Life of a Slave Girl and the chapter titled “The ‘Black Arts’ of Citizenship” from Russ Castronovo’s Necro Citizenship. While reading through both, particularly Castronovo’s text, I was struck by how similar his argument was to Katherine Hayles’s How We Became Posthuman, despite the fact that Castronovo discusses spiritualism and slave narratives in 19th century America and Hayles covers contemporary popular culture and science. I’m writing this blog post in hopes that it will help me to trace through some of the connections between these three texts and to explain why these moments of contact are important. Posthuman gothic texts depict a version of humanity that has been terribly altered either externally or internally as a result of overwhelming technology. Hayles asks if it is possible for information to travel across mediums without changing. Hayles insists throughout chapters one and two of How we Became Posthuman that “abstracting information from a material base is an imaginary act.” 4 In other words, information requires a medium in order for the information to exist. 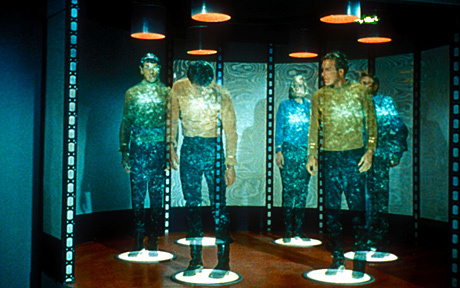 At the start of chapter one, Hayles asks, “Even assuming such a separation (mind from body) was possible, how could anyone think that consciousness in an entirely different medium would remain unchanged, as if it had no connection with embodiment?” 5 Pointing to Star Trek’s “Beam me up, Scotty,” Hayles posits that belief in the possibility of information to circulate unchanged across different mediums is popularly accepted within our current culture. Based on Russ Castronovo’s Necro Citizenship, I’d argue that this dematerialized dream/nightmare was also present in 19th century America. 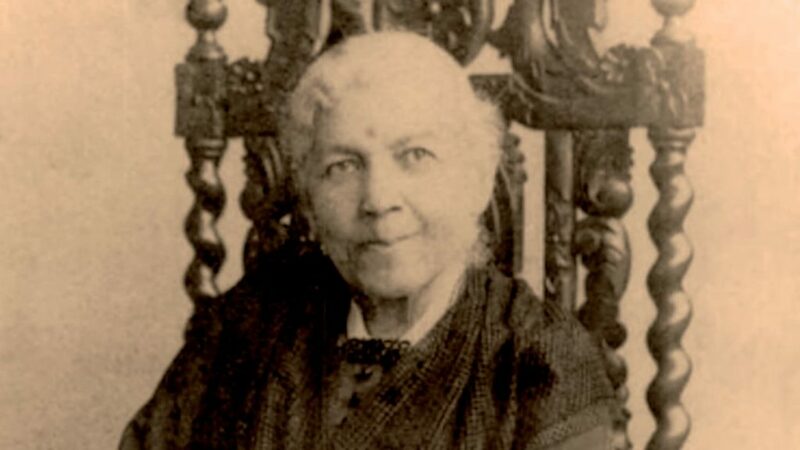 At the end of Incidents, Harriet Jacobs’s Linda Brendt has achieved liberation in the North. Jacobs includes two visions of death with Brendt experiences after her freedom: the first being “tender memories” of her grandmother. This example of what Castronovo terms “spiritual liberation” 8 is positive and a comfort to the living Brendt. However, the second depiction of spiritual liberation is the news of the death of Brendt’s Uncle Phillip. Castronovo rightly describes the eulogy Phillip receives as containing “posthumous enfranchisement,”9 as Phillip is labeled here as “a useful citizen.” In the spirit realm where all, according to 19th century white spiritualism, are equal, Phillip is suddenly granted the right of citizenship. Although this is an example of finding liberation through dematerialization, it is of no use to Phillip, his family, or to the many other living black Americans who were still enslaved. On the other hand, in writing her narrative, Jacobs quickly moves through her sexual experiences, refusing to allow a completely embodied representation to be presented to her voyeuristic (largely white female) readers. Jacobs’s Linda Brendt therefore exists somewhere in between the spiritual and material. Castronovo describes this as materializing the immaterial by embodying ghosts and their history. [ 10. pp. 195] By returning these spirits (or, for Hayles, “information”) back into corporeal bodies, they can be historicized, politicized, and protected from appropriation and mutation. For Harriet Jacobs, to be rendered as pure information and completely separated from one’s body is something to be feared. To be dematerialized entirely is to be psychically owned by another, spiritually repeating the physical enslavement experienced during life. Spirits may only tell their stories through the medium of technology or through the body of a medium, who would either speak their story out loud for parlor guests, or write the spirit’s story down for publication. It is through this dematerialized change in medium (from black body to spirit technology/white medium body) that the slave’s identity, spirit, and memory is appropriated and altered. Russ Castronovo’s “The ‘Black Arts’ of Citizenship” and Posthuman Gothic by Caitlin Duffy is licensed under a Creative Commons Attribution-ShareAlike 4.0 International License.